FREDERIKSTED — Police believe a man abandoned his 71-year-old mother in a cheap Georgia motel — and then went on vacation. Kathleen Laree, who suffers from dementia, was found wandering in the lobby of the Motel 6 on Virginia Avenue, in South Fulton County, WSB-TV Channel 2 Atlanta reported. Motel employees called 911 and told police Laree’s son, 52-year-old Stephen Haupert, checked her in, paid for one night Sept. 25 and left. Haupert is wanted on felony charges, the news station reported. Immediately after checking his mother in, saying they were evacuating from Hurricane Irma on St. Thomas. Haupert allegedly asked how to get to the airport. “He was in a really big rush, asking where airport was in relationship to hotel,” East Point, Georgia Det. Ebony Johnson told WSB-TV Channel 2. Johnson said the mother and son flew in to Georgia from St. Croix, and investigators believe Haupert jumped on a plane back to the Caribbean. Someone found Laree wandering in the motel lobby and she appeared to not know where she was. Hotel employees called 911 after they told police her son checked her in, paid for one night and took off. Johnson said she contacted Haupert shortly after his mother was found wandering, but he told police he’d done nothing wrong. He “basically said she’s a big girl and can take care of herself,” Johnson told WSB-TV Channel 2. “You can’t just bring them to a foreign place they’re not familiar with and drop them off and leave them with nothing,” Johnson said. Laree had only a train case with old pictures, one phone number, $20 and a few pair of shorts. St. Croix marina police told Channel 2 that Haupert lives in the U.S. Virgin Islands and is currently away on vacation. Based on the information Georgia authorities released to the Atlanta TV station, it could not be determined if either the police or the press understand that St. Croix and St. Thomas are different islands separated by ocean. Laree remains in the custody of adult protective services, police in Georgia said. 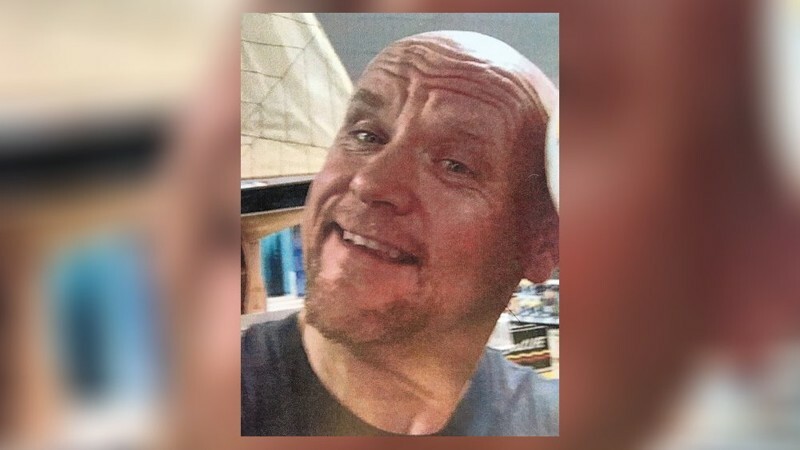 WSB-TV reporter Liz Artz claimed she found Haupert’s Facebook page and, while she was interviewing detectives, it showed he was updating his profile picture from Italy. Johnson said she made contact with Haupert shortly after his mother was left dazed and confused in Georgia. “He said there was nothing wrong with it and it wasn’t against the law. He basically said ‘She’s a big girl and can take care of herself,'” Johnson said. MAPP: We Will Wait For 260 Workers From U.S. Mainland To Connect The Territory With Electricity ... Governor Says They Arrived Today ... St. Croix Will Be Last! Since landline phone service is a down for most STX businesses why do you not publish a list of cellphone contacts for them? VI cargo is essential to our survival and they only give out the island supervisors number, on which he does not reply. I need to be able to contact VI gas to order propane. I sent my so to their office and they have only one woman who states there is none and does not know if or when any will be coming!